The importance of promoting physical activity for patients to prevent or ameliorate the risk for stroke, Alzheimer's disease, cardiovascular disease, and many other conditions has been promulgated by medical societies and researchers for years. However, no group has specifically addressed the feasibility, validity, and effectiveness of assessing and promoting physical activity in a healthcare setting. A new scientific statement from the American Heart Association (AHA) highlighting recent research, offering solutions, and recommending a “systems change” approach is offered to call attention to this. 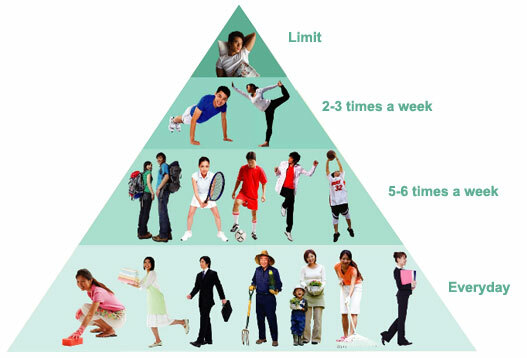 Physical activity plays a significant role, the authors state, for prevention and management of more than 40 diseases beyond cardiovascular disease. Obesity, diabetes mellitus, cancer, depression, Alzheimer’s disease, arthritis, and osteoporosis are prime examples. Authors suggest healthcare providers no longer go it alone. Other clinicians, community leaders, and fitness experts can help get people moving and reduce their risk for morbidity and mortality from conditions associated with physical inactivity. Physical inactivity is one of the most prevalent major health risk factors, with 8 in 10 US adults not meeting aerobic and muscle-strengthening guidelines, and is associated with a high burden of cardiovascular disease. Improving and maintaining recommended levels of physical activity leads to reductions in metabolic, hemodynamic, functional, body composition, and epigenetic risk factors for noncommunicable chronic diseases. Physical activity also has a significant role, in many cases comparable or superior to drug interventions, in the prevention and management of >40 conditions such as diabetes mellitus, cancer, cardiovascular disease, obesity, depression, Alzheimer disease, and arthritis. Whereas most of the modifiable cardiovascular disease risk factors included in the American Heart Association’s My Life Check - Life’s Simple 7 are evaluated routinely in clinical practice (glucose and lipid profiles, blood pressure, obesity, and smoking), physical activity is typically not assessed. The purpose of this statement is to provide a comprehensive review of the evidence on the feasibility, validity, and effectiveness of assessing and promoting physical activity in healthcare settings for adult patients. It also adds concrete recommendations for healthcare systems, clinical and community care providers, fitness professionals, the technology industry, and other stakeholders in order to catalyze increased adoption of physical activity assessment and promotion in healthcare settings and to contribute to meeting the American Heart Association’s 2020 Impact Goals.